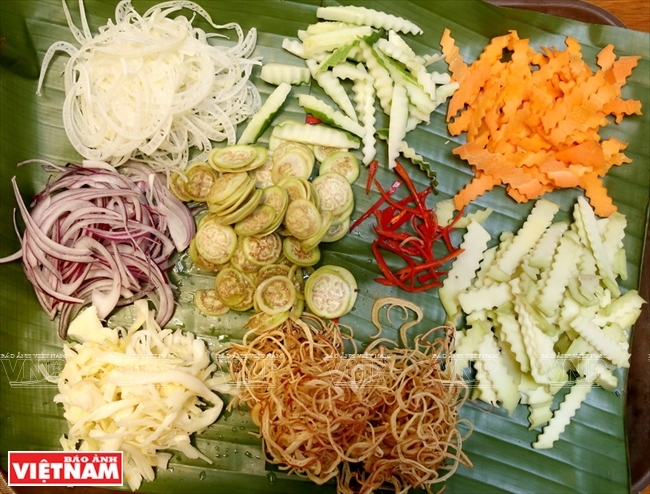 This salad, a simple but tasty dish from the southern region, is a combination of five salads each of which has a distinctive taste and color. 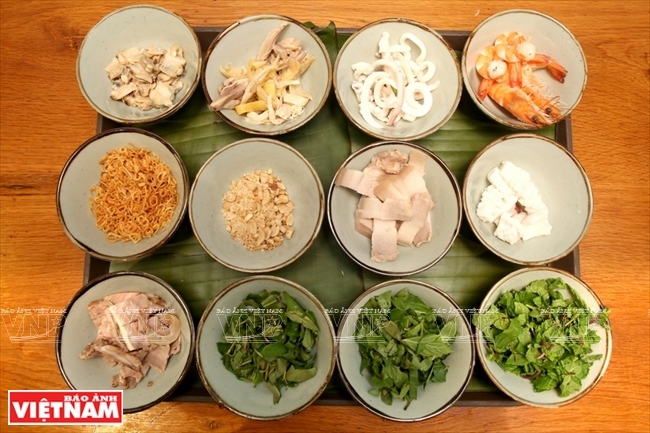 The dish’s five compositions are chicken salad, cuttlefish salad, seafood salad, beef salad, and shrimp and pork salad. 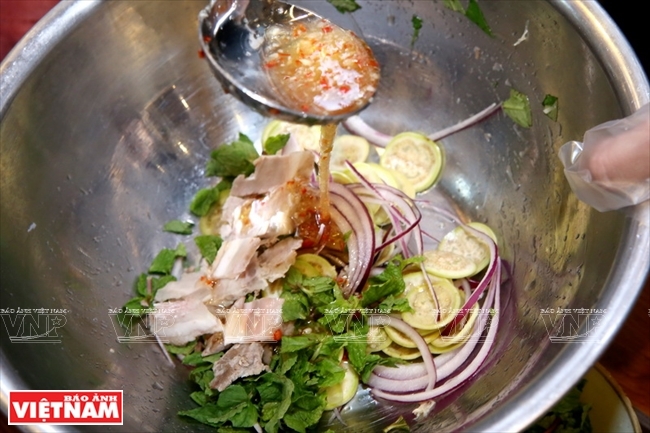 The chicken salad’s ingredients include boiled chicken, ambarella leaves, roasted peanuts and sliced banana flower. The cuttlefish salad is made from boiled cuttlefish mixed with cucumber while the seafood salad is a combination of oysters and mango. The fourth salad includes boiled beef, herbs and crispy peanuts while the last one is mixed with shrimp and sliced pork, peanuts and narrow leaf cattails. The secret behind the taste of each salad is its sauce. 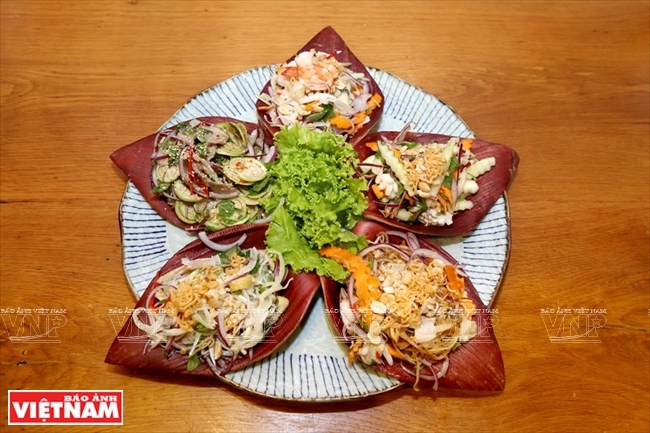 The five salads are set on a plate on five petals of banana flower to become an eye-catching five-color mixed salad. 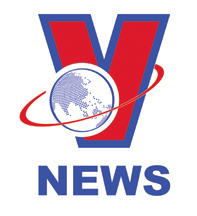 The main ingredients of the five salads include chicken, cuttlefish, beef, shrimp, pork and vegetables. Vegetables include banana flowers, cucumbers, carrots and mangoes. Each salad has an individual recipe.